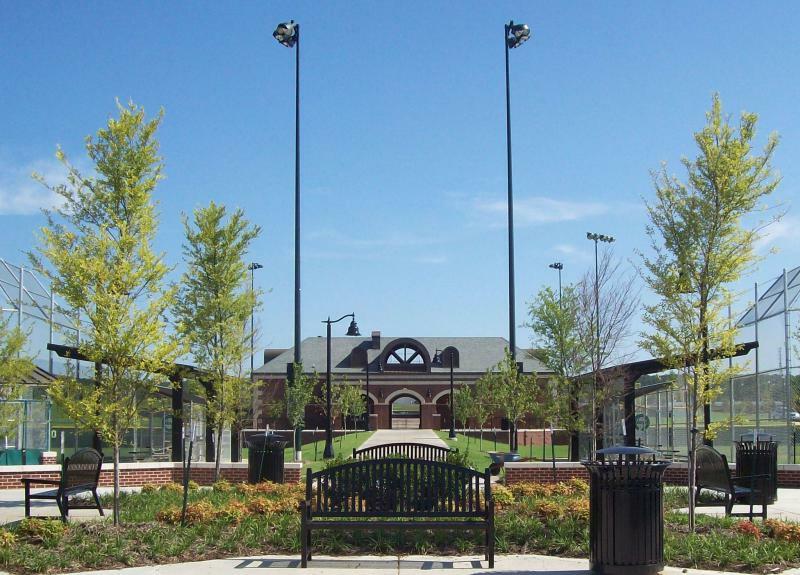 Conway Station Park is a baseball/softball facility that offers nine fields, shaded stands, modern fencing and a large main building/concession area. It is one of several, newer indoor and outdoor sports complexes in the fastest-growing city in Arkansas. Specifically, the 25 leaders want to see how tax-supported sports facilities were funded and how they’ve paid off in increased sales tax revenue and private investment. 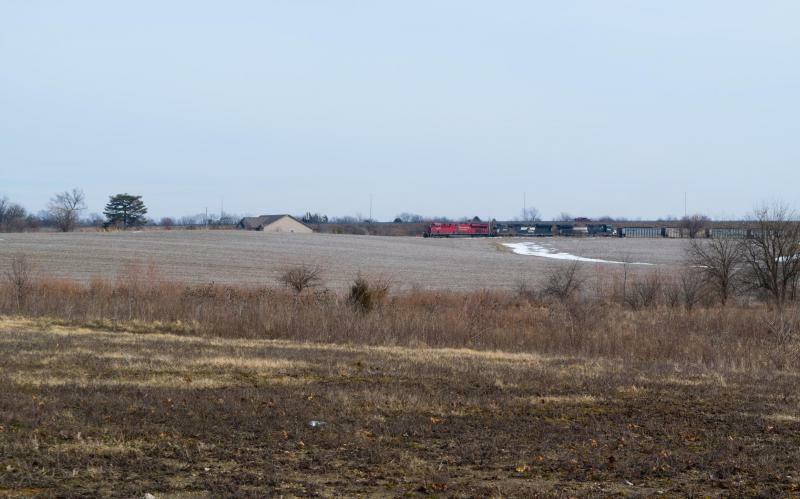 The trip comes as a consultant for a proposed multi-sport complex on 200 acres on Bloomington-Normal's west side reveals there could be more information next week about the scope of the proposal. Katie Kim of The Kim Group is a developer working with landowner Dave Stark on a multi-use sports complex, and she's been meeting with stakeholders for months. "We should be able to share some details next week," she told GLT. Kim would not be more specific, but in an email she said, "We are not going to Arkansas but I have done that trip prior. So I am excited for the leaders to learn about what Arkansas is doing to attract businesses and individuals to their region." McLean County Chamber of Commerce Director Charlie Moore, who also serves on the Bloomington-Normal Convention and Visitors Bureau, said the trip will help decision-makers get answers to important questions before they are asked to commit tax money to support any sports and entertainment complex. Moore said he has a list of questions about private versus public support for a variety of sports facilities in Conway. "How did you fund those? How do you utilize them? How are they marketed? Where are you bringing people in from? What kind of economic impact are you seeing? What's the spin-off development?" Estes Stadium is a 9,000-seat, multipurpose stadium in Conway, Arkansas. 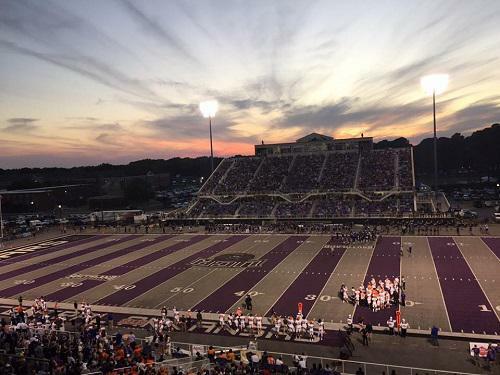 It is home to the Central Arkansas Bears football team, representing the University of Central Arkansas in the NCAA's Southland Conference. It added a new, striped turf field in 2011. According to Moore, that last question can provide the rest of the story. "That is, once you have these (sports venues), what other private sector investments does it attract?" Conway, Arkansas, has three colleges and universities which have recently enhanced or added new sports venues, and there have been other additions which landed the city of 40,000 on this website for sport event organizers. Among the newest facilities is Conway Station Park, which was expected to handle 22 baseball or softball tournaments in 2016. The trip will also include a visit to Little Rock, Arkansas, which has invested in amenities and advertising to brand itself as a top, affordable vacation destination. The ability to have an experience during a visit for, say, a sports tournament, is important, according to Moore. "We're giving people visiting Bloomington-Normal other ways to engage with us." He added, "The side benefit is what we're doing for people who are already invested here with their families and with their businesses." 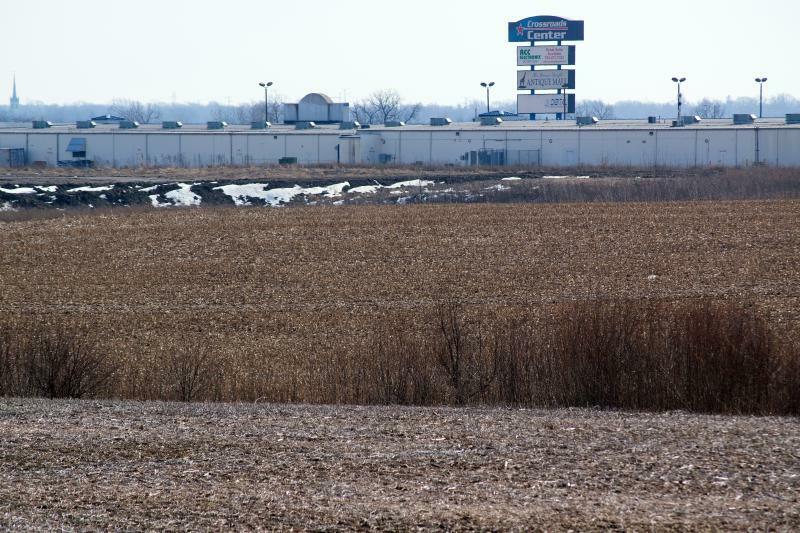 He believes additional options are needed to complete the triangle of experiences that would connect a west-side sports complex with both Bloomington and Normal spending opportunities. "Where is it you can go from eating a meal to buying products to movies, whatever it might be? Where do you have that one-stop shop opportunity in Bloomington-Normal? The answer is, you don't." 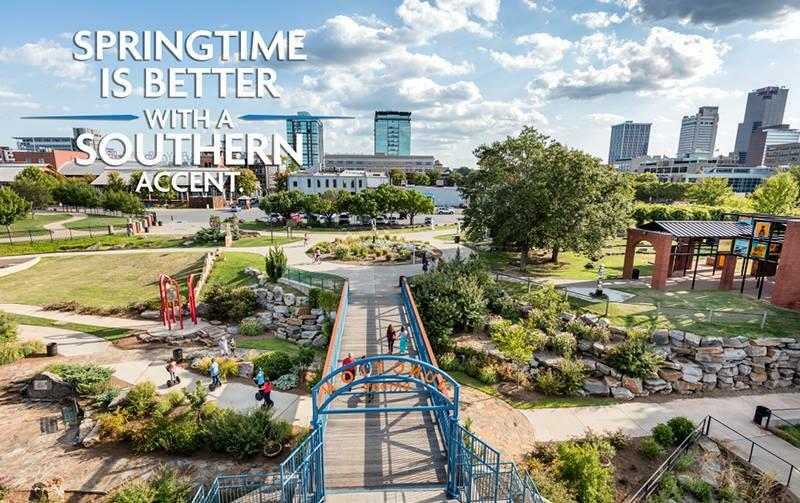 Little Rock, Arkansas, advertises itself as one of the most affordable vacation destinations. The local contingent who will visit next week will also be looking at how it the city is creating a pipeline to future employers and meeting workforce demands. He said the way to increase sales tax revenue is through visitors who can enjoy the uniqueness of a community. Does that mean Moore believes the city of Bloomington needs another anchor project for downtown Bloomington? The downtown task force is already getting behind the idea of a catalyst project that could include an expanded Bloomington Public Library/Connect Transit bus transfer station. The McLean County Chamber of Commerce has not taken a position on the proposal. Moore said the business organization could weigh in once it assesses development already happening throughout Bloomington-Normal and evaluates it against the BN Advantage strategy, which is about marketing the area's quality of life, education, and workforce advantages. Does Downtown Need A Catalyst? Personally, Moore said he thinks a bigger vision with accompanying visuals is needed to boost private investment in downtown Bloomington. "In order for someone to feel comfortable and confident in investing significant private sector dollars, they need to be well aware and understand what that vision looks like." He added, "I think a schematic of said vision would be super helpful for anyone to take a look at how we envision what this downtown looks like, because when you can see it, you know whether: a) we want to buy into it and b) it really fits into the long-term plan." The Conway and Little Rock, Arkansas, trip will be funded by proceeds from a BN Beyond luncheon, sponsored by the McLean County Chamber and the Economic Development Council at Rivian Automotive in June. The event attracted 600 participants,who paid between $40 or $62.50 depending on whether they paid as individuals or as co-sponsors. 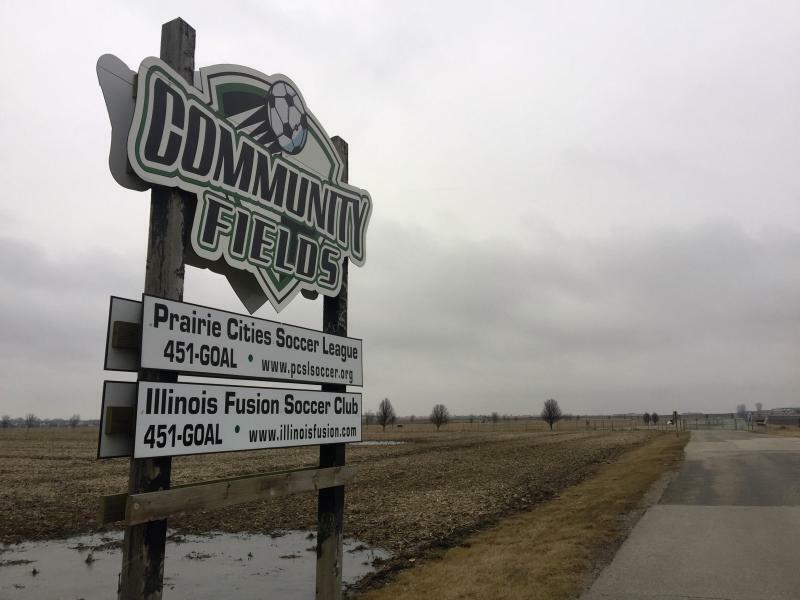 By the end of the year, 21 soccer fields on airport-owned land along Ireland Grove Road will be off limits due to FAA regulations and so the debate is ramping up about whether to seize the opportunity and go big, as in a multi-sport complex in one location, or to update existing fields and green space at schools and parks to fill the void.